“We are able to charge for the increased risk. VTB Capital is an emerging market bank and we are prepared to do business other banks won’t do. That increases our pricing power“. This is how Alexey Yakovitsky, Global CEO at VTB Capital, explains the dubious loans and the associated high fees that left Mozambique’s economy on the verge of complete collapse. Yakovitsky is one of the driving forces behind VTB Capital’s decision to shift focus to Africa (notably Mozambique and Uganda) and Asia (India in particular). Mozambique, which used to be one of Africa’s fastest growing economies, has been pushed into default. In 2013 and 2014, three state-owned Mozambican firms with no revenue miraculously managed to attract $2 billion from two international banks: Russian bank VTB Group and Swiss bank Credit Suisse Group AG. The loans, which were given in secret, were then guaranteed by the Mozambique government. VTB Capital and Credit Suisse charged very high fees. The banks took 10 percent of the loans, earning a total of $199.7 million in “contractor fees” and “arrangement fees”. The revelation of the 2013 secret loans (equivalent to about half the national budget) shocked the country, the IMF and donors. Mozambique defaulted on the loans in 2017. The Mozambican companies are ProIndicus S.A., Empresa Moçambicana de Atum S.A. (EMATUM) and Mozambique Asset Management S.A. (MAM). They are all owned by the Mozambique government and run by SISE, the State Security Information Services. The official purpose of the loans was to purchase naval equipment and a tuna fishing fleet. 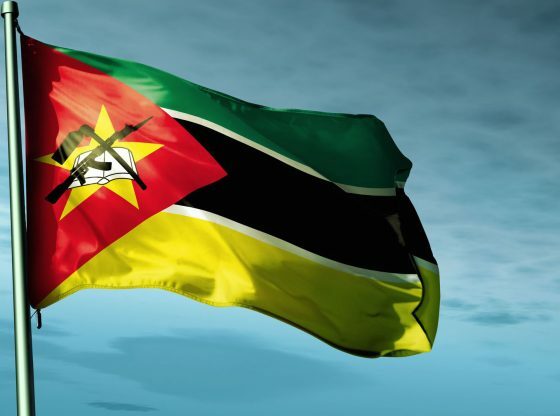 Mozambique’s intelligence agency presented the project as “a matter of national security” and, as a result, the government issued a state guarantee. SISE claimed “national security” as justification for the secrecy of the loan agreements too. The loans were signed off in London by Antonio Carlos do Rosario. Do Rosario was both the President of the Administration Board of the companies and the head of SISE’s economic unit. A SISE bank account was used to make interest payments to the banks. Other senior members of ProIndicus, EMATUM and MAM were either employed by or connected to the national intelligence agency. Mozabique’s security service contracted Privinvest, an Abu Dhabi-based offshore group, as primary supplier of goods and services for the three companies. An independent audit by the corporate investigations company Kroll (https://www.open.ac.uk/) concluded that Privinvest played a major role in the VTB-Mozambique deal. The Abu Dhabi group introduced VTB Capital as a lender, arranged the loan agreements, contracted with the companies and the government to restructure the loan agreements. Moreover, the money never reached Mozambique because the banks sent it straight to the contractor’s account in the United Arab Emirates. Goods and services, mainly boats, were overpriced and the items never became fully operational. Negligible operating revenue has been generated. For example, Mozambique Asset Management (MAM) signed a $535 million loan agreement with VTB Capital in May 2014. The loan agreement was arranged by a Privinvest Group company and guaranteed for the full amount by the government of Mozambique. MAM agreed arrangement fees of $35 million with VTB Capital. The total loan proceeds remaining after the deduction of arrangement fees was USD 500 million. This amount was paid to the Privinvest’s account in the United Arab Emirates. According to Kroll, the MAM business plan stated that the company expected to generate $63.7 million in operating revenues at the end of 2015. By June 2017, when Kroll concluded its report, MAM had generated $25,000. The $2 billion loan arrangement has been a disaster. The government’s default on the state-backed loans hit Mozambicans hard. People have been paying the price for the dubious loans. The government reduced oil and bread subsidies. The Mozambique currency fell by over 40% and inflation soared.